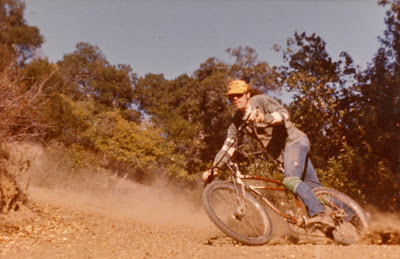 Above: Charlie Kelly, co-creator of the sport of mountain biking and a Special Guest of the Rough Riders Rally, as seen racing Repack in 1976. 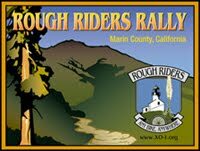 With registration just announced for the July 23-25, 2010 Rough Riders Rally, we've already gotten some great registrants. 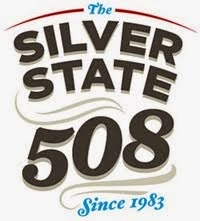 We'll post an ongoing roster on our website here. 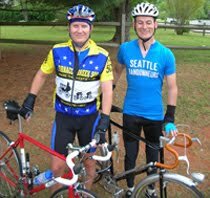 This includes name, age, city, state, gender, plus bike details, blog/website link, and "internet nickname," as applicable. 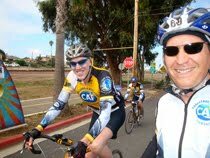 We're very excited to share this special experience with such a great group of riders! 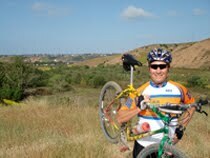 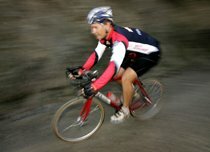 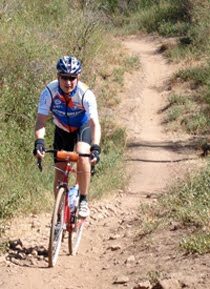 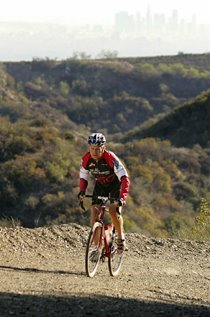 Of special note: Charlie Kelley, co-creator of the sport of mountain biking, will be attending! 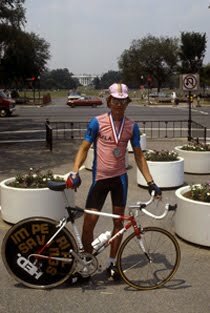 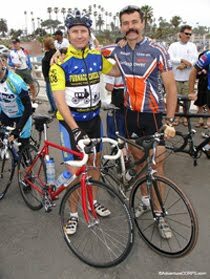 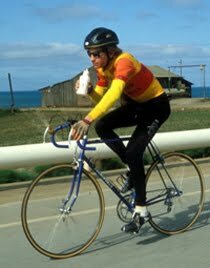 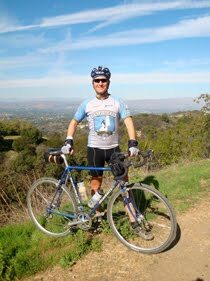 Charlie was partners with Gary Fisher in the the first "Mountain Bikes" company (with the frames made by Tom Ritchey). 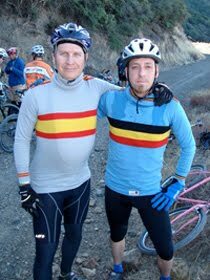 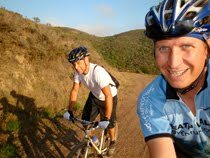 Charlie was also first mountain bike race promoter (creator of the infamous Repack Downhill). 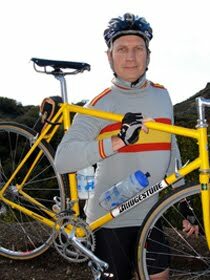 He was also the first mountain bike magazine publisher (Fat Tyre Flyer). 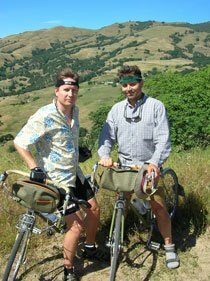 Charlie and Chris Kostman first met at the Iditabike in Alaska in 1988. 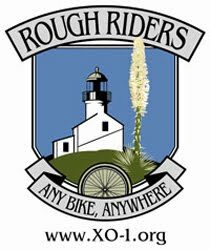 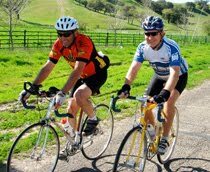 Rough Riders Rally: Registration Now Open!